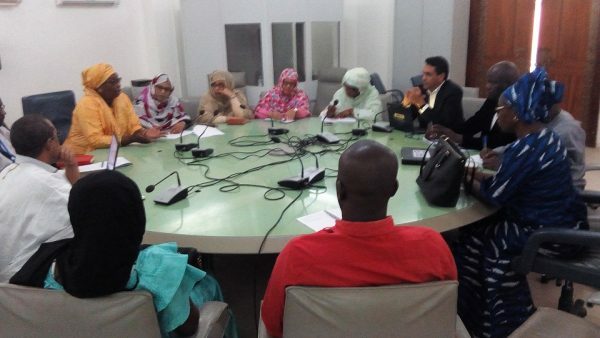 On 17 November 2017, the SUN Movement – Mauritania civil society organization for the fight against malnutrition and the Mauritanian Women Parliamentarians’ Network (REFPAM) met at the National Assembly to discuss the organization a national open day on nutrition. This open day will aim to bring together all the stakeholders involved in the fight against malnutrition: Government representatives, national and international civil society organizations, funding partners and United Nations System organizations. The goal will be to give greater visibility to actions already taken and what to imprve. The meeting also had the goal of raising women parliamentarians’ awareness of the acute need for a coordinated fight against malnutrition in Mauritania and to report to them on information collected at the 2017 SUN Movement Global Gathering, held at Abidjan in November 2017.